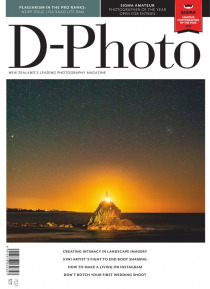 D-Photo is New Zealand’s No.1 digital photography magazine helping Kiwis get to grips with their cameras and use them more creatively. By providing quality how-to features, product reviews, and inspirational pictures, the magazine gives its loyal and ever-increasing subscriber base the information and confidence they need to embrace digital camera technology and make photography a part of their … everyday lives. Enjoy the stunning work from talented New Zealand photographers and see the New Zealand landscape and people in a way no one else can in each and every issue.